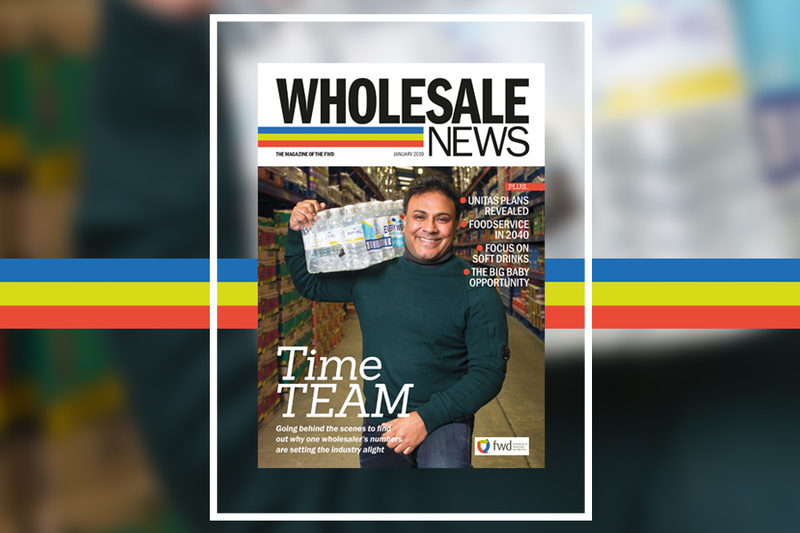 January’s Wholesale News is out now! 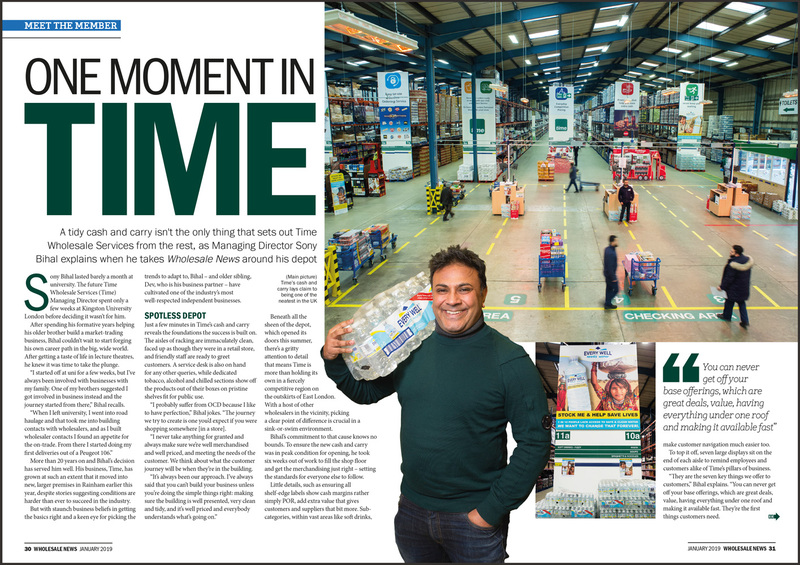 Amidst all the Brexit drama, it’s easy to forget that 2019 is only two weeks old – and with that comes the year’s first issue of Wholesale News. The team has been plugging away to dig out all sorts of stories and impactful features to kick off the first of 12 issues in style. 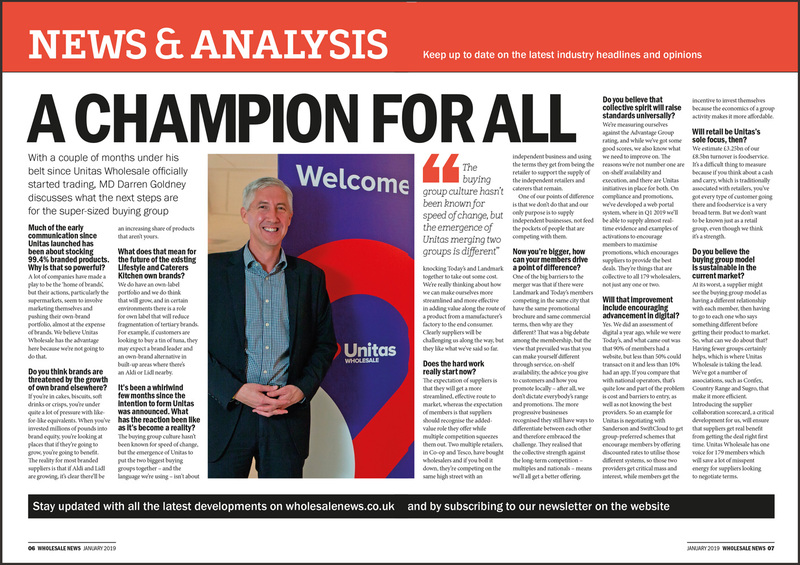 Ranging from an exclusive interview with Unitas Managing Director about how the new buying group is trying to get their offer right, to a visit to one of the group’s most successful independent members, Time Wholesale Services, we’re hitting all the key stories. As it’s the turn of the year, we were inspired to look into the future too. 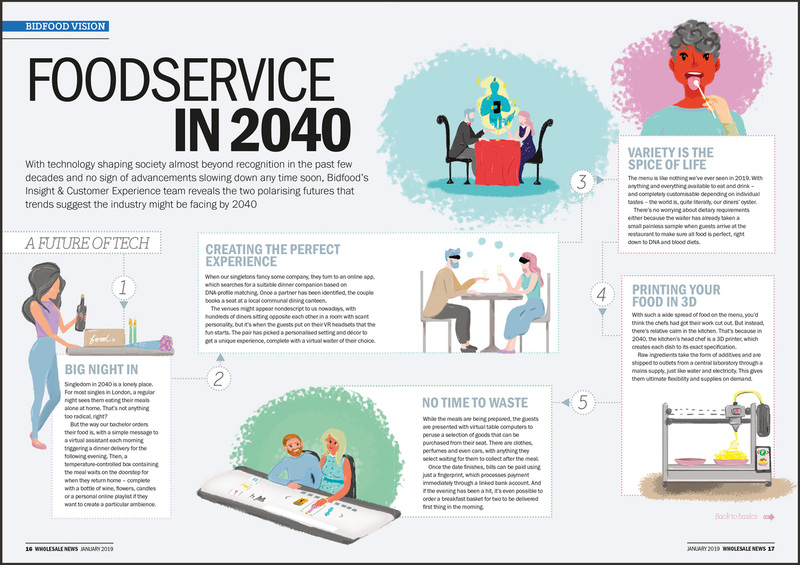 That comes in the form of Bidfood’s 2040 vision of foodservice, which delves into two polarising worlds that could hold some answers to what our industry will look like in two decades. There’s loads more to sink your teeth into now, so check out what we’ve got below. 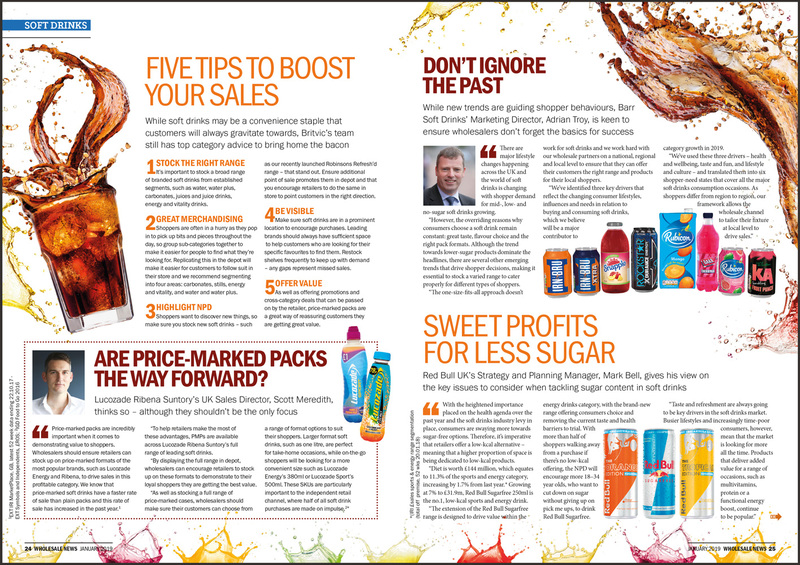 And if you like what you see, make sure you subscribe for free to receive Wholesale News every month or read the full digital edition online. With technology shaping society almost beyond recognition in the past few decades and no sign of the advancements slowing down any time soon, Bidfood’s Insight & Customer Experience team reveals the two polarising futures that trends suggest the industry might be facing by 2040. Published 5:20pm January 16, 2019 .